There are two ways to reach Constance, the last stop of our trip: by car or by ferry. But the second alternative was the best one in our situation. Indeed this city is situated on the North Western part of the namesake lake, whereas Meersburg, our departure point, is located in the opposite side. Then, we boarded the ferry with our car. The trip lasted almost half an hour and was really pleasant: we could enjoy the afternoon warm weather and the nice lakescape, while leaving the fairy Meersburg. After having landed on the ground, we drove towards the old city center. We parked our car near the Fischmark area. The first impression was that we were visiting a young town. Constance is in fact well known for its university, one of the most valuable in Germany. And while reaching the seafront, we traversed a passage full of amazing and elaborate paintings. 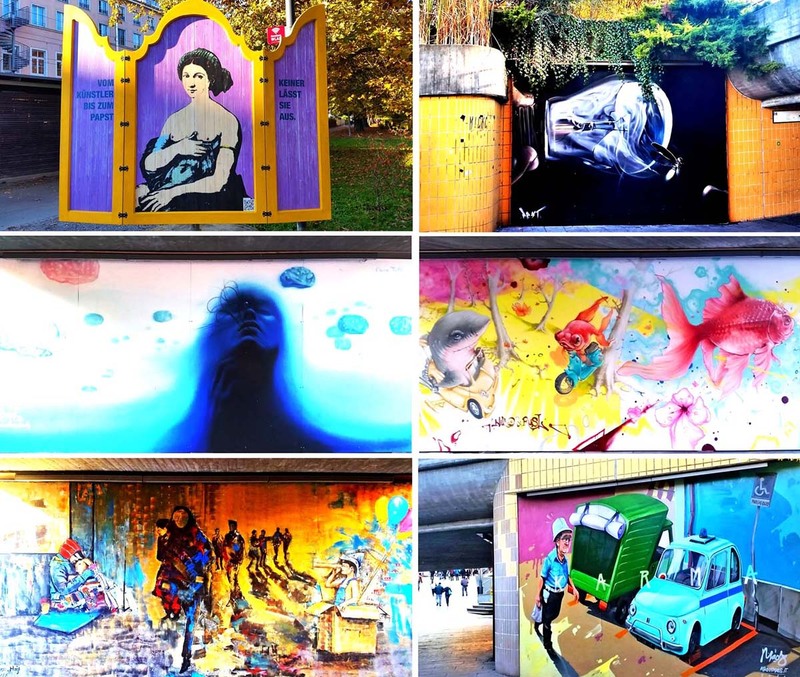 A really accurate artwork reminding me the urban murales, with various subjects, from common life to surrealism. I wanted also to create my personal piece of art by immortalizing the wonderful life around me. Everything seemed to be on the right place meanwhile I observed the happy kids playing with ducks and swans on the lakeshore. The coloured autumn nature completed the picture. I realized to be really lucky as people I love, my family, were with me, and we were experiencing this joy together. I would have liked to stop the flow of the time to make this peaceful moment last a little bit more. We stopped near the lake and enjoyed the nice view. In the meantime, I noticed boats were bringing people near the Constance Lighthouse area. Perhaps they hadn't started their trip from Meersburg, but from different other villages nearby. I would probably have preferred that specific path if I hadn’t had my own car. Another thing captured my attention too: a big statue of a woman revolving slowly on itself at the end of the lighthouse pier. The monument, which represents a courtesan named Imperia, holds the pope Martin V on the left hand, and the emperor Sigismund on the other one, both naked; they were relevant personalities during Council of Constance, started in 1414. And this opera would underline the corruption of political powers, especially of clergy. 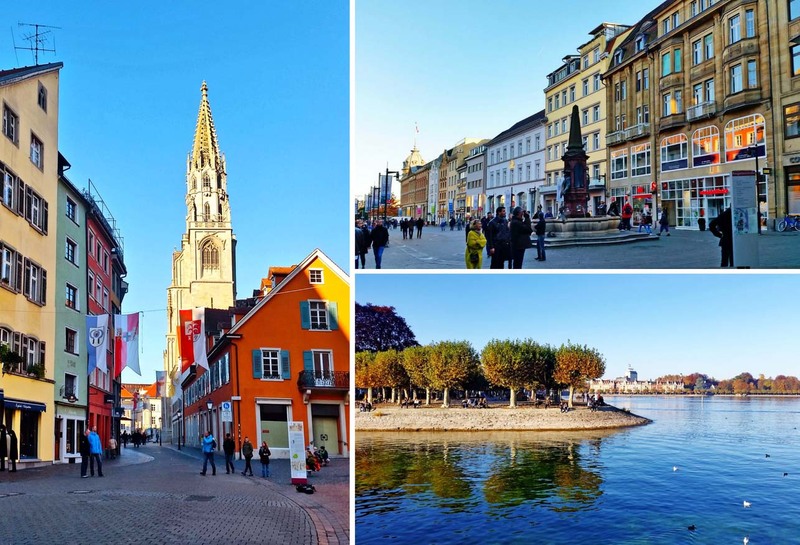 I learned that this city played an important role in the history; indeed it is popular for having hosted the Roman Catholic Diocese of Konstanz for more than 1200 years. 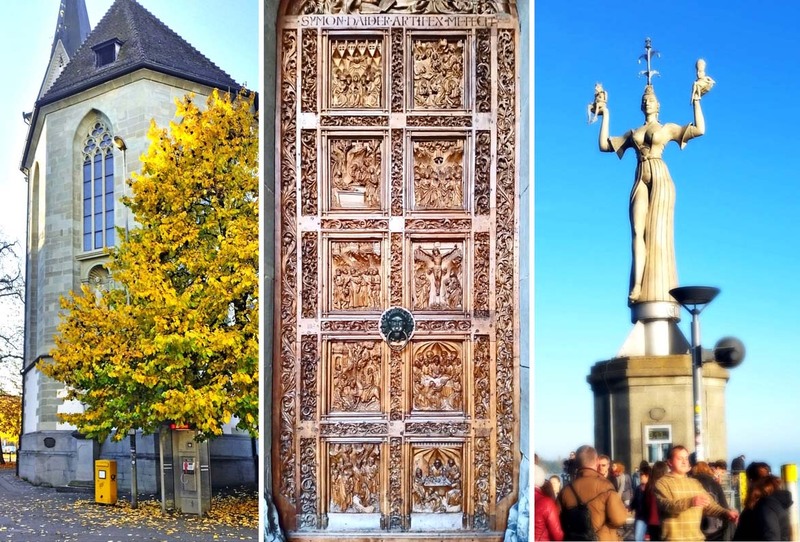 We planned only some hours of our afternoon in Constance, and oh...it was sad not to have enough time to visit the most significative monuments in the city. We could only have a short tour in the old town, near the lake promenade: we walked along nice fashionable boulevards and had 20 minutes to visit the cathedral. And our time run out, therefore we had to come back to Meersburg with the ferry and then to Munich by car. But definitely I will be back in the future to continue my visit to Constance city and to discover other villages on the western coast of the lake. It was so good to have that short nice weekend trip with my family: we discovered many marvellous treasures together. And I had the opportunity to fill my eyes with lots of beauty, and remind myself how it is important and delightful taking time for contemplating the flowing of life around, and saying thanks. We reached the end of this long chapter posts story. I spent so good time while writing about this short trip because I could relive those marvellous days with my family. I really hope it was interesting for you, and that you got some ispiration. Grazie per aver condiviso, attraverso racconti e foto, un'esperienza fatta di luoghi e immagini che ti hanno infuso calore e ti hanno fatto star bene, perchè leggendo questi posts tuoi è arrivato anche a me tutto ciò che questo viaggio ti ha trasmesso. Ma vogliamo parlare del momumento di Imperia? Di quello che rappresenta? Fantastico. Lo adoro. E tutta immersa nella lettura vado a vedere le foto, parto da quella della piazza con vista sulla cattedrale e rimango a bocca aperta. Devi ammettere che solitamente in Italia i monumenti e le chiese storiche sono antichi e inseriti in contesti architettonici antichi, invece qui ho visto talmente tanti colori che non avrei mai pensato fossimo vicini alla cattedrale. Che bello! Ma come sei carina...😊 Bravissima che sei arrivata fino alla fine della storia! Era il mio intento riuscire a portare chi legge in questi splendidi posti. Costanza sembra proprio una città giovane, spero di ritornarci presto e scrivere ancora del Lago di Costanza. A prestissimo! My dear friend Dalila, your blog is amazing! Love it! Keep going like this! Hi Nico!!! !Thank you so much for your support!! The beauty of a place can be seen only if you open yourself to the emotion that this place can inspire. Surely, you have caught the magic of the atmosphere around you, and within your post, you were able to carry these feelings to us. Thanks for that! Thank you so much for your nice words! I was waiting for your comments :) ! !